Harlem, NY — Friday, December 9, 2016 — GRAMMY® Award-winning composer/pianist/educator Arturo O’Farrill and the non-profit The Afro Latin Jazz Alliance (ALJA) travel to Cuba from December 9 – 16, 2016 for a trailblazing cultural diplomacy trip of repatriation for late Latin jazz legend Chico O’Farrill in honor of his 95th birthday. Upon their stateside return from Cuba, two GRAMMY® Award-winning Cuban sons Arturo O’Farrill and Chucho Valdés perform classics from their legendary fathers’ repertoires as well as newly written compositions alongside their own prodigious children and the 18-piece Afro Latin Jazz Orchestra on January 27 & 28, 2017 at Symphony Space’s event of the season: Legacies of Jazz: Bebo, Chico, Chucho, ‘Turo. 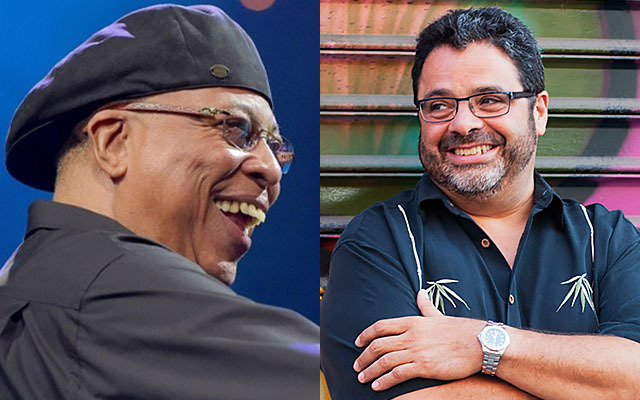 In celebration of the Afro Latin Jazz Orchestra’s 15th anniversary season, Valdés and O’Farrill reinterpret one another’s fathers’ works (Bebo Valdés and Chico O’Farrill) at Legacies of Jazz: Bebo, Chico, Chucho, ‘Turo in a rotating format that will undoubtedly thrill audiences. The historic concert features two of today’s foremost pianists side-by-side playing duos on Steinway’s finest pianos; each pianist performing with their children and special guests; and appearing live on stage with the full 18-piece Afro Latin Jazz Orchestra. Legacies of Jazz commemorates three generations of Cuba and Latin jazz artists, and offers a glimpse into the burgeoning musical genius now emerging from Cuba. 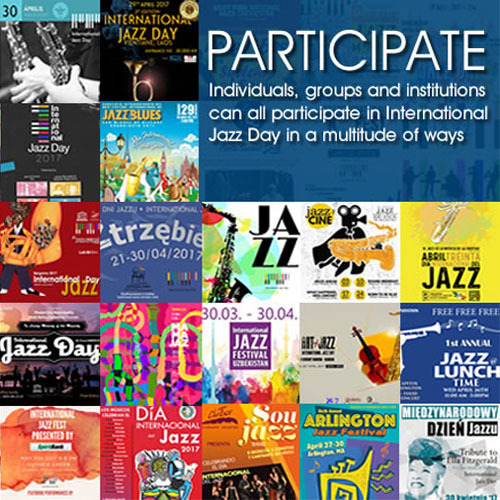 Legacies of Jazz: Bebo, Chico, Chucho, ‘Turo opens a new dialogue between Cuba and the United States, one that echoes O’Farrill’s commitment to connection, proving that revolution will not hinder family ties. O’Farrill and Valdés are living proof that culture is more important than politics and ideology, and that love and art are the highest power. O’Farrill has been on the frontlines for more than a decade fighting for normalization between the U.S. and Cuba. A modern day “jazz ambassador,” his latest GRAMMY® and Latin GRAMMY® award-winning album Cuba: The Conversation Continues was recorded at Abdala Studios in Havana just days following Obama’s unexpected announcement of the restoration of full diplomatic relations between the two nations. On December 10, in Havana, O’Farrill leads an official ceremony honoring Chico’s legacy and his long awaited return to Cuba at the Basílica of San Francisco de Asís. What appeared to be impossible until relations were restored between the United States and Cuba, O’Farrill fulfills his father’s greatest dream of returning to his birthplace. A sojourn deeply connecting a son and father, the arrival of Chico to his ancestral land comes nearly 70 years after his departure from Cuba. Detailed information regarding O’Farrill’s forthcoming eight-day excursion to Cuba including tours and performances led by celebrated local artists, museum and live music venue visits, educational institution tours, and more can be found here. Legacies of Jazz: Bebo, Chico, Chucho, ‘Turo features four big band arrangements, including “Rapsodia en Cuerdas” (Bebo Valdés), “Panache” (Chico O’Farrill), “Father’s and Sons” (Arturo O’Farrill), and a new untitled co-written piece by Arturo and Chucho. In the duo format, the two pianists will perform “Tres Lindas Cubanas” (Chucho Valdés), “In Whom I Am Well Pleased” (Arturo O’Farrill), and a new co-written composition. Three compositions will also be presented with Arturo and Chucho performing with their progeny. Following the live concert Legacies of Jazz: Bebo, Chico, Chucho, ‘Turo, O’Farrill and Valdés will record a new full-length studio album showcasing collaborative new works composed by the pianists. The album will be recorded at Avatar Studios in New York City, and will be released in 2017. *A Pre-performance artist Q&A will take place at Symphony Space on Jan. 27 at 7 pm.